A QR Code is a matrix barcode (or two-dimensional code), readable by smartphones such as the iPhone; visit www.harcourts.mobi on your mobile device to download a QR Code reader. We are starting to put these on Sign Boards outside properties. 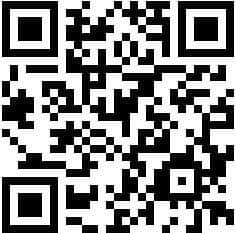 Please email or call the Helpdesk if you want QR Codes turned on for your office. If you are not using Campaign Track to order signboards, you will need to have your signboard company make up a stock board sticker template and new photo board templates. The attached documents have images of what the end products should look like. Can you please forward this information to your signboard company so they can create your templates as soon as possible. Make sure the stickers for the stock boards are weather proof and can easily be removed from the boards without damaging them. The stock board stickers need to be 11.5cm x 42cm. Once the templates are created they must be forwarded to me/the Marketing Co-ordinator in your state to ensure they are correct and adhere to our brand standards. You can mention to your signboard company that they will receive each QR Code from you via email for manual placement on the templates. For further information please refer to the Harcourts QR Codes Step by Step Guide below on this page. Please click on your Country below to log into Harcourts One.